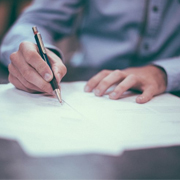 Reviewing employee contracts is a significant task for business owners. Employers must regularly review and ensure contracts, current or new are most importantly, lawful. Business owners also have to consider relevant awards, enterprise agreements or other arrangements that may apply. CCIQ’s expert HR and Industrial Relations advisor, Michael O’Brien will host this session focusing on giving registrants the knowledge and insight needed to properly read a contract and what to look out for in terms of legislative compliance. This will be an open session where questions are encouraged.